Here is an interesting bookplate from 1903 that will appeal to both feline fanciers and collectors of ex libris alike. It also brings into play an early woman physician, an activist writer for the Indians, and the historic works of craftsman Gustav Stickley. All because of a cat named Darius Dunain. Found yesterday on a bookscouting trip, this bookplate is affixed in the book, Cat Stories, by H.H. (Helen Hunt Jackson), Little, Brown, and Co., Boston, 1903 (reprint from Roberts Brothers, 1879, 1881, 1884). It appears to have been a gift copy from the publisher, maybe as a review copy. The parenthetical pedigree is noted above only because I find the book about as interesting as the bookplate. I come across cat books everywhere when out scouting. 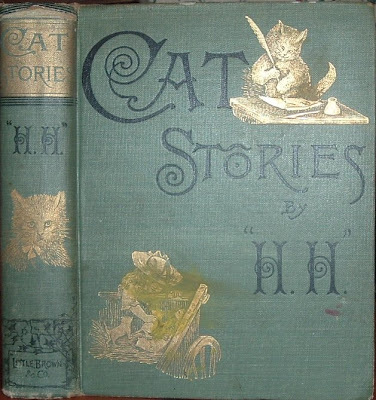 The last several decades have produced a huge number of books about cats, but this is probably the oldest book about cats I've ever come across. The stories date back to the 1870s. The author, Helen Jackson, is best known for her novel, Ramona, which dealt with the government's poor treatment of Indians in Southern California. That's quite a range from cat stories to an activist novel for the plight of Native Americans. 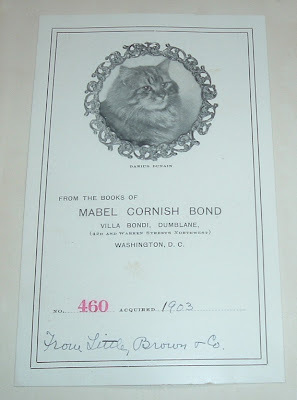 Mabel Cornish Bond, owner of both the book and the cat in the bookplate (Darius), was a female physician in Washington D.C. in the early 1900s--very unusual for the times. She was also a poet, a writer, and a cat breeder. The bookplate indicates a residence by the name Villa Bondi Dumblane in Washington, D.C. This was the Bonds' home, adapted from Gustav Stickley's Craftsman House #10 from the 1904 series of house plans in the Craftsman magazine. Stickley’s Craftsman Workshops supplied some furniture and light fixtures for the house. Stickley furniture today is very valuable and highly collectible. As for Darius, he shows up in a google search in a cat registry and stud book. By all accounts and assumptions, he lived a very pampered life. This entry was crossposted from Archaeolibris because of the interesting ephemera I came across during the research--a library label from a unique library that lent autographed copies of books to its patrons. What do Maud H. Chapin and Theodore Roosevelt have in common? They were both authors, autographed one of their books, and donated their signed copies to a little library in Christmas Cove, Maine. On Christmas Day today, it seems doubly appropriate to revisit The Cowboy Christmas Ball and follow the journey of its author, Larry Chittenden, all the way from Anson, Texas to Christmas Cove, Maine, where he started a very unique library. The Poet Ranchman of Texas, as Chittenden was known, had a second home far from the panhandle plains of Texas. This unlikely place was Christmas Cove, Maine, where the Texas rancher, seemingly out of place on the Maine coast, was right at home with his library concept. He got authors to autograph their books and donate them to his little library. The town folk could then check these books out, read them, and return them. Sometimes they might keep them all winter while the library was closed and return them in the spring. Word got around about this “autograph library” and its donated signed books. It attracted the attention of more and more authors, some vacationing nearby, who liked the idea and thought it worthy of a donation. One of these authors was Theodore Roosevelt. He may have been the most famous. Can you imagine going to your local library and checking out a book out that was signed by a President? After Chittenden’s death, the books in the library eventually scattered hither and yon. 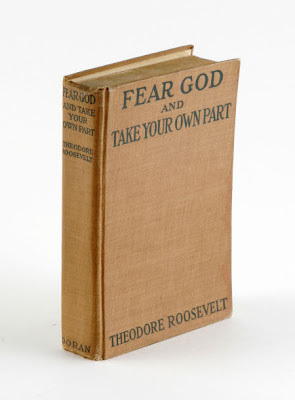 Roosevelt’s book recently wound up at an auction house in Dallas and sold for $1,434. I found these pictures on Heritage Auction Galleries’ site. I was able to find and purchase one of the library’s books earlier this year, but it did not have the library label pasted inside the front cover, which would have become one of my bibliophemera collection’s more interesting pieces. Nor was its signature that of a well-known author. My book is Rush Light: Stories, by Maud H. Chapin. Different from the Roosevelt book are the stamps used to identify the Chittenden library. 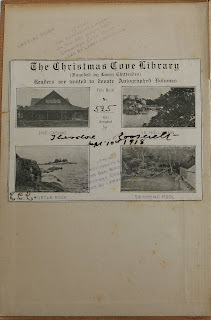 The front endpaper stamp identifies the library's location as The Autograph Library in the Sea Bird's Nest, Christmas Cove, Maine. Finding one of these books with the Chittenden library markings and author signature makes a nice souvenir of a very benevolent concept that epitomized the spirit of giving in a place with a name that is synonymous with giving. 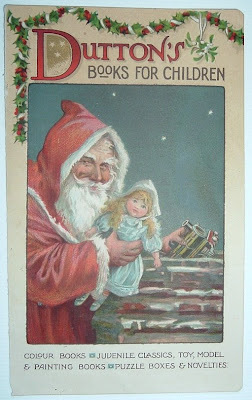 Merry Christmas and a Happy Reading New Year! Since finding the book above, I've acquired six more titles from Chittenden's original library. I hadn't thought of pursuing a collection, but a reader of this blog, Richard McLeod, a book sleuth with a good eye, found a book in 2011 from the original library and was kind enough to send it to me after finding this post while researching the bookplate inside the front cover. That spark of generosity got things rolling. Now I had two--the beginnings of a collection. About one a year has turned up in various online markets since. Hopefully, more turn up at a faster clip and I can really build a worthy collection of Larry Chittenden's old library books. Even in a pile of old newsletters published about the Spanish Civil War, a book-related subject rises, like cream, to the top. 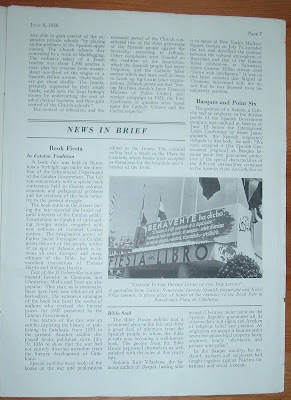 It was interesting to find an article on the 1938 Barcelona Book Fair (Fiesta del Libro) among the columns about bombing, rebel offenses, and the destruction of Guernica. News of Spain was a weekly English language newsletter published by the Spanish Information Bureau in New York City. This issue was published July 6, 1938. A book fair was held in Barcelona a fortnight ago under the direction of the Educational Department of the Catalan government. The fair ran concurrently with a special book conference held to discuss cultural, economic and pedagogical problems and the relations of the book industry to the present struggle. One feature of the fair was an exhibit depicting the history of publishing in Catalonia from 1770 to the present. Another exhibit displayed books published since July 19, 1936 to show that the war had not entirely diverted attention from the literary development of Catalonia. 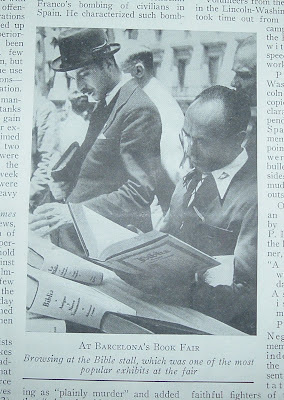 The cultural militia had a stand in the Plaza de Cataluna where books were accepted as donations for the hospitals and libraries at the front. The Bible House exhibit had a prominent place in the fair and drew a great deal of attention from the Spanish people to whom the Bible is only now becoming a well-known book. Just in time for Christmas, publisher E.P. 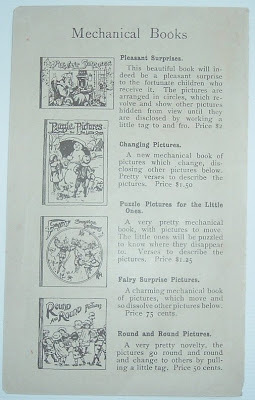 Dutton circulated this handbill advertising colour books; juvenile classics; toy, model & painting books; puzzle boxes & novelties. The British spelling of "colour" indicates this piece was circulated in London. The flip side of this card features several mechanical books. What a Surprise: A Mechanical Book for Children. Verses by Lowe, Constance M. London/New York: Ernest Nister/E. P. Dutton & Co., No date (c.1898). In and Out & Round About. London: Nister; New York: E. P. Dutton, (1895 copyright). Both sell in the $300-$350 range. Quite rare and collectible. And the London publications help confirm that the handbill, with its British spelling, originated with a Dutton affiliate in London. Dutton Children's Books is one of the oldest continually operating children's book publishers in the United States, with publications such as the Winnie-the-Pooh stories. Dutton Books is now part of the Penguin Group (USA) and operates as an imprint. 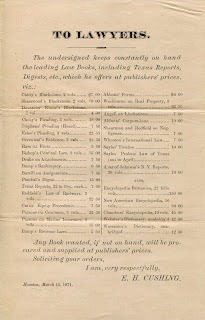 Here is my earliest example of ephemera related to a bookseller from my hometown of Houston. Meet E.H. Cushing, circa 1871. Edward Hopkins Cushing, of Vermont, came to Houston in the 1850s, for a bit of adventure it would seem, after graduating from Dartmouth. He wanted to teach and did at three schools in the Houston area before getting involved in the newspaper publishing business. Writing for a newspaper eventually led to part ownership of the paper and later a controlling interest in another paper, the Houston Telegraph, which he used to promote his ideas for business and education in his beloved, adopted hometown of Houston. His interest in the arts and sciences extended to Texas authors, agriculture, and horticulture. An accomplished horticulturist, Cushing is reported to have had one of the most complete collections of flowers on his estate, Bohemia, in the United States. During the Civil War, Cushing kept his publishing business afloat, sometimes using wallpaper or whatever was handy to print his newspaper. But his politics leaned in favor of secession, which curried no favor with the Reconstructionists after the war. In fact, Texas' Reconstruction governor, Edmund J. Davis, recommended to President Andrew Johnson that Cushing be hanged instead of pardoned for his actions in the war. If the governor ever entertained ideas about publishing his memoirs after leaving office, I doubt Mr. Cushing would have made the short list of potential publishers! After the Civil War, Cushing was lured to bookselling, sold his newspaper business and bought an existing book and stationary business on Franklin St. in Houston. 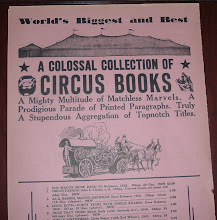 There, he sold books like the ones in his brochure, shown above, until he died in 1879. I don't know if he specialized in law books. 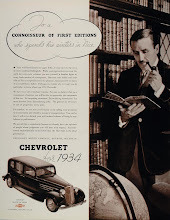 As he was a man of many interests, I think he probably stocked books on a variety of subjects. 29. BRADY, Wm. Glimpses of Texas: Its Divisions, Resources, Development and Prospects. Houston: [Gray and Cushing], 1871. 104 [1, index (inside lower wrapper)] pp., folding colored map of Texas by G. W. & C. B. Colton (Map of Texas to Accompany "Brady's Glimpses of Texas." 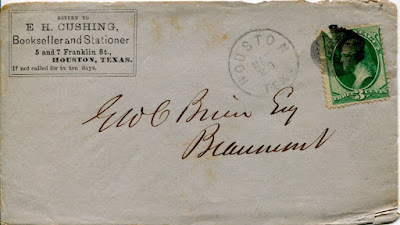 E. H. Cushing, Houston, Texas, 1871, 11-15/16 x 14-15/16 inches). 16mo, original tan printed wrappers, sewn. Wraps lightly soiled and creased, text very fine, map excellent and bright, printed errata slip pasted on inside wrap. The guide was issued both with and without the map--copies with the map are the exception. Signed postcard by pioneer printer and newspaperman E. H. Cushing, who printed the pamphlet. First edition of a rare promotional, with an excellent map. Adams, Herd 303: "Rare. Chapter on stock raising." Day, p. 85. Graff 387: "Devoted to the enticement of immigrants." Howes B714. Rader 460. Raines, p. 30. Winkler-Friend 2779. Promotional touting resources and opportunities in Texas, including cotton, sugar, corn, and wheat farming, stock raising, lumber, manufactures, railroads, lands for sale, ads for businesses in Houston and Galveston, etc. In his glowing section on "Society in Texas," Brady declares: "Outrage, arson, forgery, swindling, and malicious mischief rarely occur in Texas." The fine map of Texas contains insets of "Plan of the Environs of Houston" (showing Houston-Galveston area with railroad and wharf connections) and a general map of U.S. and Mexico. See New Handbook II:458 for more on Cushing. The book realized a price of $1,725. Note also that the publication date of the pamphlet is 1871. 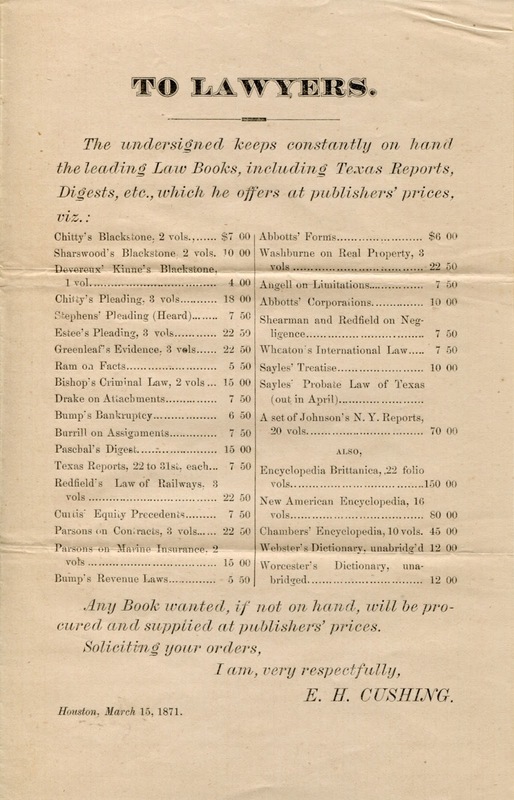 Cushing is credited as publisher/printer, so evidently he did not completely divest himself of publishing and printing interests when he entered the bookselling business (bookstore brochure above also dated 1871). Now, if I can find out who used to own the business Cushing bought and collect a billhead or letterhead from them, they would be my earliest among Houston bibliophemera. And I'd also like to know if Cushing's business survived his death, either in his name or another at the Franklin St. location or elsewhere. I started not to answer this, as I always go for the delete key on chain letters and these kinds of things, but what the heck. In the spirit of the season upon us, I'll give a little. First, thanks for the nice words about my blogs Archaeolibris and Bibliophemera. I somehow let four months go by on the former and the latter has fared only slightly better. Hurricanes (Gustav and Ike), sickness, vacation, and a backlog of work comprise my sling of excuses for not blogging more. But I have been sort of. I have a lot of incomplete entries in the pipeline and hope to finish tying them up and posting soon. 1. Growing up, I wanted to be a writer and live in an old house in the mountains in New Hampshire. Or be a Major League Baseball player. I'll settle for a writer of blogs or whatever in Texas. Last year, though, I did get to walk in the footsteps of a famous New Hampshire writer. 2. I'm an IndyCar Racing fan and got to go to my first Indy 500 last May. 3. I like to start my day off with a long walk. I said I like to, but my exercise habits of late have gone the way of my blogging. Ditto for gardening--no winter veggies from the Back 40 this year. 4. Favorite dinner I like to cook: Maine lobster with corn and chips and a favorite beverage or three--New England style. Expensive in Texas, so it doesn't happen very often. 5. Puedo hablar español un poco. 6. 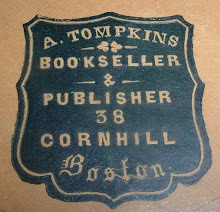 I like old books--scouting, selling, and discovering bits of history in them. If the bookselling biz doesn't pick up (no encouragement from the present economy), I might have to get used to saying "Welcome to WalMart" or some such phrase. As for the rest of this exercise, I'm not gonna bother anyone with it. The few folks I link to have probably already seen it anyway. Here's a book shop trade label from Texas City, Texas, a town best remembered for the 1947 Disaster. 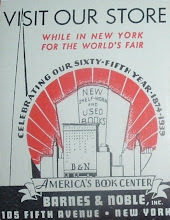 With the old phone number (WI exchange), perhaps this book shop was around in 1947. The label was found in a 1963 publication. Thought I'd throw that in for the nostalgic curious.